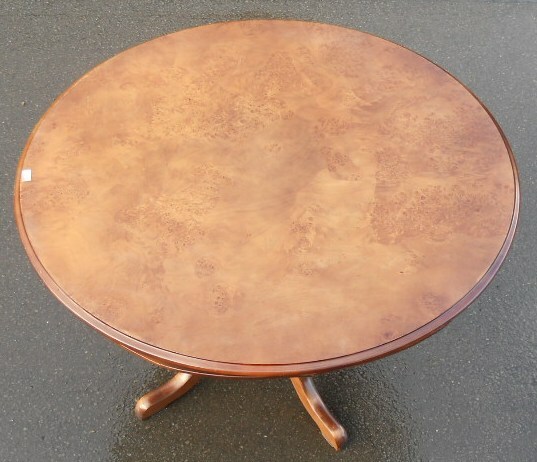 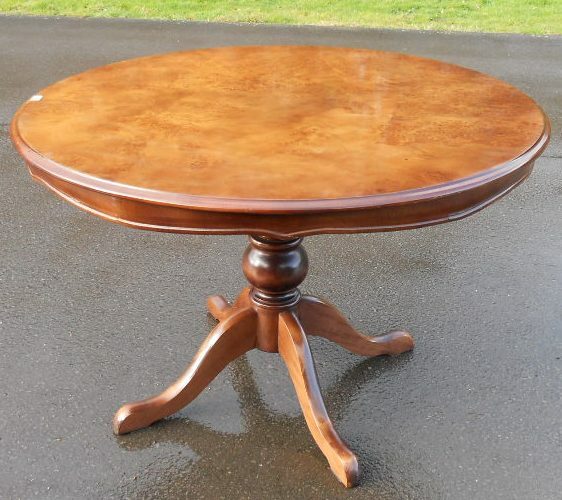 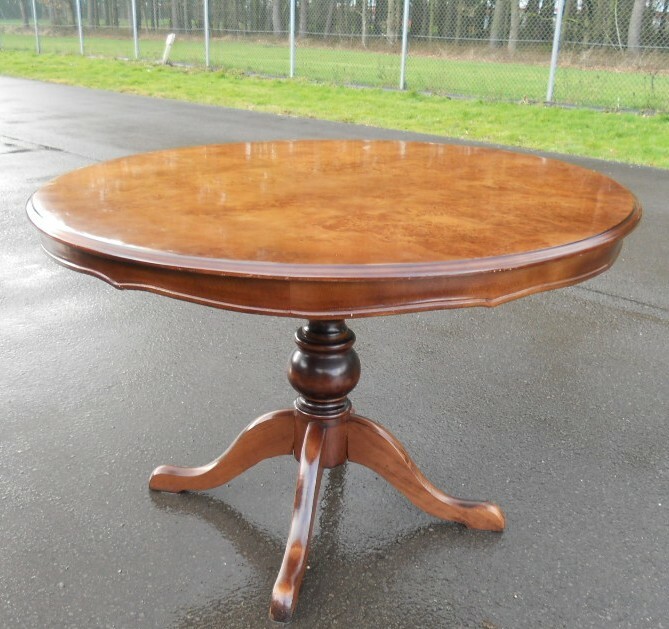 Victorian style round burr walnut top pedestal dining table to seat six people. 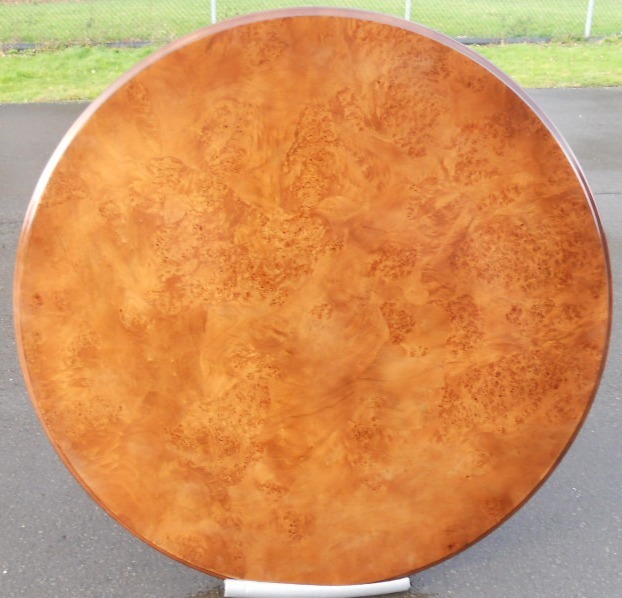 Coming in two sections for easy movement, circular top with lovely figured burr walnut veneer top. 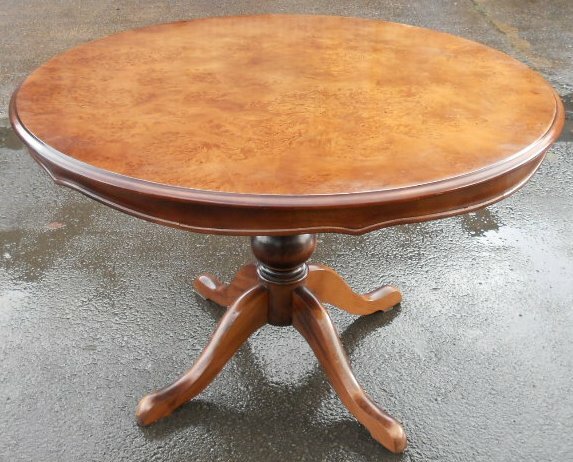 Having pedestal base with quad form feet making this table very sturdy, this attractive dining or centre table is in nice condition throughout.